Installing an awning onto your home’s outdoor space goes a long way in significantly enhancing the aesthetic attributes of these areas. These given products now come in a wide variety of shapes, styles and even colours. From which you can effortlessly select the ideal ones, which can suitably compliment your house’s exterior features and fittings. At the same time, awnings can also immensely improve the comfort of your home’s outdoor areas. This is simply brought about by their unmatched capability of fashioning a cool shade where you, your family and friends can retreat to in particularly hot weather. Typically, there happen to be two main kinds of these outdoor beautification products, which are the manual and motorized awnings. The first variety requires the cranking of a handle for it to open or shut. While a motorised awning is powered by an electric motor that allows it to automatically unfurl or roll up in accordance with the user’s desire. The user’s only output is to press on a button or in some case, a remote control unit, which activates the operation of the electric motor. As would be expected, there is a wide range of advantages that motorised awnings are known to provide when compared with the manual varieties. On the other hand, these products also do come with several disadvantages when they are contrasted side to side with the latter alternatives. It is thus extremely important for you as a homeowner to take the necessary time to reflect on both these sets of factors, before you settle for any of these awnings. To this end, the following is a review of the different pros as well as cons of a motorised awning, which can permit you to make an informed purchase decision. 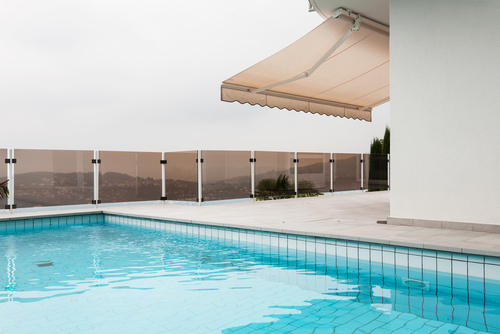 What are the pros of motorised awnings? Undoubtedly the most prominent benefit of the motorised varieties of these products is certainly their unparalleled ease of use along with overall convenience. 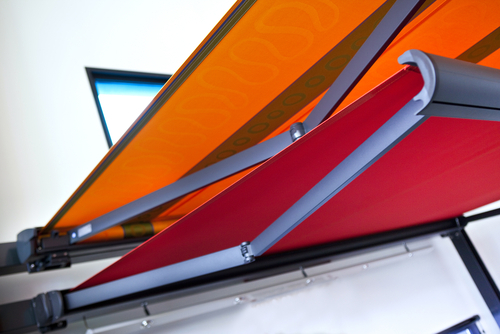 Like earlier stated, it quite simply takes the pressing of a button to open up or shut motorised awnings. This state of affairs totally does away with the need for you to exert substantial force as you would normally be required to do if you opted for the manual varieties. Additionally, a motorised awning is highly noted for unfurling or rolling up in a considerably much less time than the latter alternatives. This can definitely allow you to be in an excellent position of saving valuable time, which you can make use of to attend to more pressing tasks in your home. Like you may probably be already aware of, most types of retractable awnings come with a fabric material that can be torn up if they are not opened or closed in a gentle manner. However, with the motorised versions, you can conveniently eliminate the occurrence of such incidents. This is largely due to their gentle and automatic operation. In this particular score, these products happen to be the preferred choice of quite a large number of homeowners. With them been utilized four times much more that the manual varieties. The basic structure of a motorised awning, for the most part, comprises of “telescoping” limbs, which can jut out or retract when it is unfurled or rolled in, respectively. This particular structural design is highly acclaimed for presenting a much more cleaner and linear appearance. Which can greatly enhance the aesthetic appeal of virtually all outdoor regions these products are erected. Most especially when it comes to houses that integrate modernistic exterior features and designs. 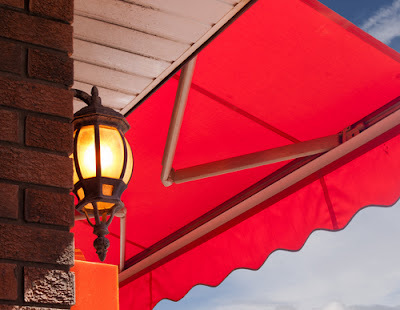 Therefore, settling for these types of awnings not only improves the functionality of your home’s outdoor areas. But also greatly presents a harmonious and attractive appearance that will undeniably be the envy of all who take a glimpse at it. Over the recent years, newer technologies have been added to the various functions of many a high quality awning, which are specifically meant to enhance the user experience. For instance, most of these products now come with all manner of sensors that facilitate for their carrying out their functions automatically. There are sensors that enable motorised awnings to detect rain or turbulent wind in a timely fashion. This allows them to retract back to avoid damage in the event of a vicious storm or gale. Some other varieties of these products come with sunlight sensors, which enable them to unfurl by themselves in especially sunny weather. This in its turn can fashion a cool and airy outdoor environment where you, your family or friends can retreat to in such moments. More to the point, it can also significantly minimize the need for air conditioning or fanning, which can allow you to save plenty of money on your home’s energy bills. What are the cons of motorised awnings? In spite of all the advantages it possesses, a motorised awning is far from been perfect, and also has a few drawbacks you should be aware of. To begin with, the biggest disadvantage of these products is undeniably the expensive cost of buying and also installing them. Motorised awnings are to be had for extremely steep price tags when you take time to compare them with the manual varieties. Moreover, they necessitate electrical wiring connections with your home’s power source. This means that you will be required to enlist the services of a competent electrician who can safely make these connections. An event which usually amounts to your incurring more expenses to ensure that you can be able to make use of your motorised awning in the right way. You will also have to factor in maintenance and repair jobs every now and then. Secondly, with the passage of time, like most other machines, motorised awnings can begin to experience mechanical issues that usually arises from the wear and tear of their electric motors’ internal components. This can include problems such as battery burnout and even the malfunctioning of the electric motor’s components. Which in extreme circumstances, can cause you to replace the motor or even the whole awning with a new one.